Reactis® for C V2018 is now available for download. 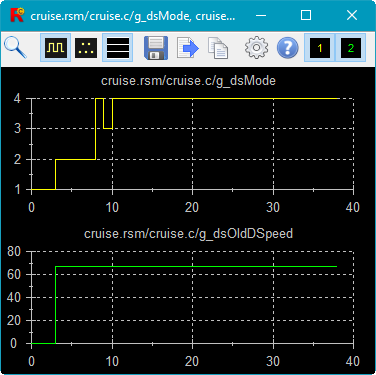 The new version includes Reactis Tester optimizations, improvements to scopes and test execution reports, and many stability and performance updates. 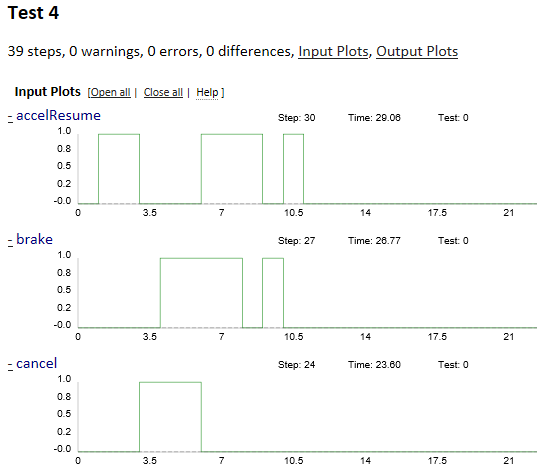 When generating a test execution report, Reactis for C now gives you the option to include signal plots (shown below) as well as a section that lists all targets covered by a step in a test. 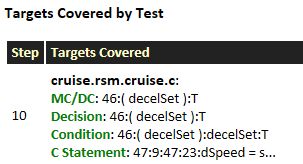 For example, in the report to the right, step 10 of test 4 covers several targets in line 46 and one target in line 47 of cruise.c. Reactis is a registered trademark of Reactive Systems, Inc.